LIVE from the Gen Con 2017 Writer’s Symposium! How Do Writers Get Paid? When and how should a writer get paid, what's the going rate, and what should you watch out for? Plus, is exposure a valid form of payment? Find out as Reddit Fantasy’s Steve Drew puts the financial writerly screws to authors Anton Strout and Maurice Broaddus! LIVE from the Gen Con 2017 Writer’s Symposium! Building To The Climax! Discover ways to structure your story so that carries the reader into the climax in a logical, exciting, and satisfying way. Featuring Erin M. Evans, Jerry Gordon, Karen Bovenmyer, and Anton Strout. LIVE from the Gen Con 2017 Writer’s Symposium! Drawing From Mythology! Mythology is a treasure trove of resources for authors looking to enrich their stories. Learn to draw on myth and legend to enhance your writing. Reddit Fantasy’s Steve Drew moderates a fantastic panel featuring authors Howard Andrew Jones, Ilana C. Myer, Linda Robertson, and Anton Strout. Another awesome episode LIVE from the Gen Con 2017 Writer’s Symposium! Awesome Anti-Heroes! How do you create a hero who's so bad she's good? Where is the line between anti-hero and villain? Featuring moderator Susan J. Morris, Charlaine Harris, Gregory A. Wilson and Anton Strout. Click the image below to visit this episode's awesome sponsor! Jennifer Gunnels and Marco Palmieri—the mad scientist editorial minds behind Tor Labs—talk to us about their debut project, Steal The Stars, a 14-episode noir science fiction thriller. 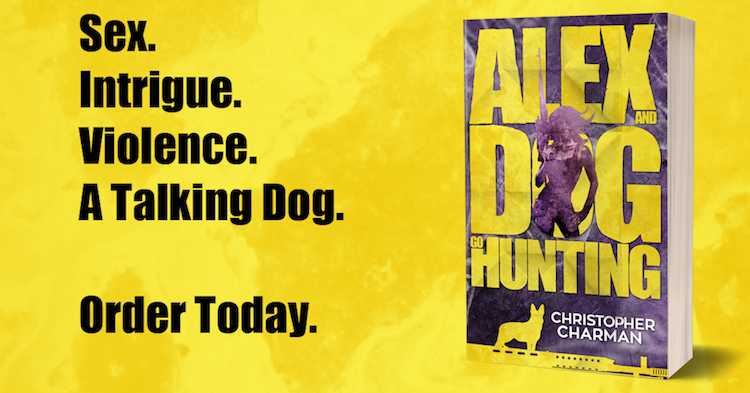 Forbidden love, a crashed UFO, an alien body, and an impossible heist—the adventure is just beginning. Be sure to check out this amazing new serial podcast voiced by a full cast of experienced film, theater, and voice actors from Gideon Media, writer Mac Rogers, and director Jordana Williams. This episode comes to you from Gen Con 2017, celebrating its 50th year! It’s another amazing panel from the Writer’s Symposium! Worldbuilding: Making Magic New Again! Have you had your fill of spellbooks, wands, and wizards? Explore ways to make magic in your world exciting and new! 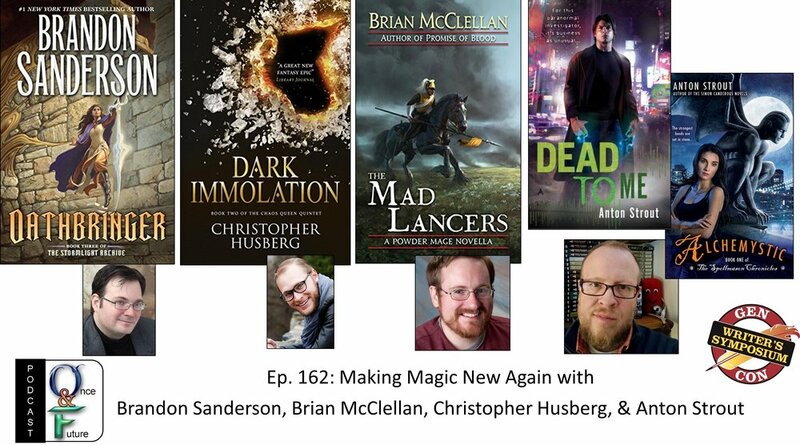 Featuring Brandon Sanderson, Anton Strout, Brian McClellan, and Christopher Husberg! Click the images below to visit this episode's awesome sponsors! This episode comes to you from Gen Con 2017, celebrating its 50th year! Join host Anton Strout in our third year of live shows from the Writer’s Symposium as we talk with awesome authors Beth Cato and Mercedes Lackey. We discuss careers, cookies, gaming, raptors, writing, and geeky podcast goodness for science fiction/fantasy readers and writers alike. This episode comes to you from Gen Con 2017, celebrating its 50th year! Join host Anton Strout in our third year of live shows from the Writer’s Symposium as we talk with Charlaine Harris (the Sookie Stackhouse, Lily Bard, and Midnight,Texas series) & Gail Z. Martin (Darkhurst, The Chronicles of The Necromancer and The Fallen Kings Cycle). We discuss careers, writing and geeky podcast goodness for science fiction/fantasy readers and writers alike. O&F Podcast, Ep. 159: Comic-Con International: San Diego 2017: Panel- Genre-Blending: How and Why? This episode comes to you from Comic Con International 2017, courtesy of our friends at Penguin Random House! Genre-Blending: How and Why? Readers, authors, and curators sometimes struggle to classify a work. Is it fantasy? Science fiction? Paranormal? Maybe all of the above? Authors Charlie Jane Anders (ALL THE BIRDS IN THE SKY), Daryl Gregory (SPOONBENDERS), Peter Clines (PARADOX BOUND), Sarah Kuhn (HEROINE WORSHIP), Vic James (GILDED CAGE: BOOK 1 OF THE DARK GIFTS TRILOGY), and Pierce Brown (RED RISING SERIES) discuss the benefits and tricks of genre blending with Petra Mayer of NPR. This episode we talk with New York Times bestseller Jason Hough about Zero World, coauthoring Mass Effect: Andromeda: Nexus Uprising, and his Dire Earth Cycle series including the latest books Injection Burn and Escape Velocity. We also talk Comic Con International, Dungeons & Dragons, game design, Star Wars, and our dual appearances in the upcoming MECH anthology! This episode we talk with hybrid publishing juggernaut Michael J. Sullivan about his amazing self publishing and traditional publishing careers, and his latest book, Age of Swords: Book Two of The Legends of the First Empire series. This episode we talk with author powerhouse Rachel Caine about The Morganville Vampires, The Great Library series, her upcoming return to The Weather Warden series, Aliens and X-Files anthologies, her previous life as a pro musician, and her latest standalone suspense novel Stillhouse Lake! Check out our latest episode where I report LIVE from this year's Book Expo America in New York City! Hear about Marjorie Liu's progress on Monsteress, what's going on at BOOM! Studios, an awesome new graphic novel Bolivar by Sean Rubin, Paizo Publishing's release of the Starfinder Core Rule Book System, plus a report from The Qwillery book blog! Click the images below to visit this episode's AWESOME sponsors and show them some love! This episode I talk with genre superstar Martha Wells about many writerly things including her Stargate and Star Wars novels, Doctor Who’s Donna Noble saving the universe, the end of her Raksura series, the Ile-Rien series, the first book of her new Murderbot Diaries, and Mech: Age of Steel which we’re both in! Bonus coverage: writing, critique and convention talk, including her upcoming gig as toastmaster at World Fantasy! Double the guests, double the fun! This episode I catch up with dear author friends: Sarah Kuhn (Heroine Worship) and Amber Benson (The End of Magic) as we talk about 20 years of Buffy The Vampire Slayer, their semi-secret project together writing BOOM STUDIOS’ Clueless, Barbie comics and beyond, panels, conventions, the benefits of writing groups, way too much bathroom talk, and Amber breaks the silence on having just written an upcoming Lifetime movie! An interview for the ages! This episode we talk with author Seanan McGuire/Mira Grant about her many series, including October Daye, Incryptid, Newsflesh, Parisitology and more! We also discuss haunted places, the mad life of writers, fandom and the behaviors within, the Hugo Awards, and the all important act of being kind. This episode I chat with dear friend of the show author Christopher Golden, including his latest novel Ararat, being one of the three guys with beards over on the Three Guys With Beards Podcast, his upcoming anthologies Dark Cities and Indigo, writing and publishing, graphic novels, collaboration, 20 years of Buffy goodness, and the strange and neurotic souls of authors. On this episode Wizards of the Coast’s Chris Perkins talks game design, his 20+ years with the company, life as a celeb Dungeon Master for Penny Arcade’s Acquisitions Inc., my frenemy Patrick Rothfuss, the history of Dungeons & Dragons, storytelling vs. mechanics in gaming, plus all the cool new RPG products and modern ideology of an ever growing love of gaming including a return to some classic modules in WOTC’s Tales from The Yawning Portal! This episode we talk with tech pundit/author extraordinaire Tom Merritt about his 15 years as a podcaster and its pioneer days, including his history with The Screen Savers, Tech TV, CNet, and TWiT. We’ll also delve into his own empire of current shows: The Daily Tech News Show, Sword & Laser, Cordkillers and many, many more. Get ready to learn all about his writing side as we discuss NaNoWriMo, time management, science fiction and his latest time travel novel Pilot X. Plus, The Once & Future PIGcast! This week I talk with editor/anthologist Neil Clarke about his latest anthology Galactic Empires, his ten years running Clarkesworld Magazine, its podcast, panels and conventions, owning a bookstore, rejections, his Best Of anthologies, and, as an added bonus: heart stuff! Visitors from the Once and Future Podcast will receive 2 darkdrop coffees, which supply 10 extra actions per cup (so players can play longer without having to wait for their actions to refill)!